ShoJo can use her 'Lightning Magic' to free animal friends or attack pesky gremlins. There are two types of lightning bolts, horizontal and vertical. 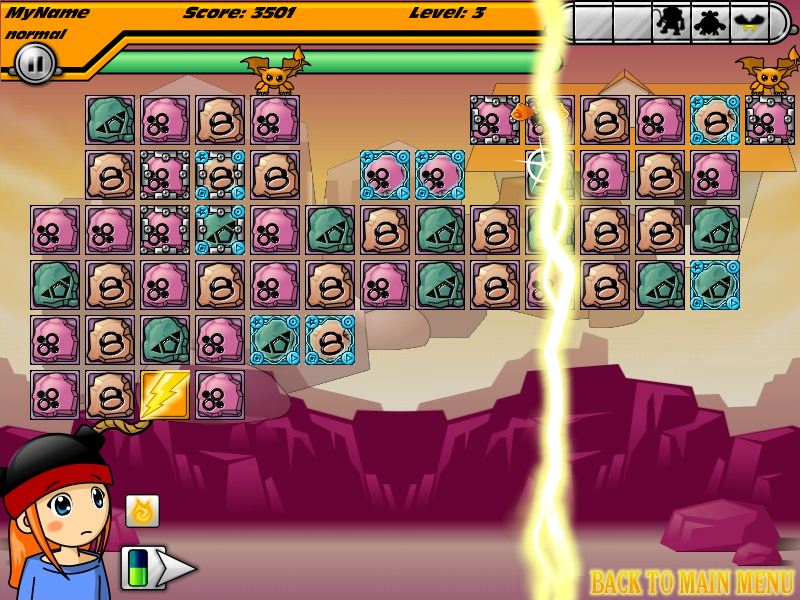 The lighting bolts blast all the blocks in a column or row.